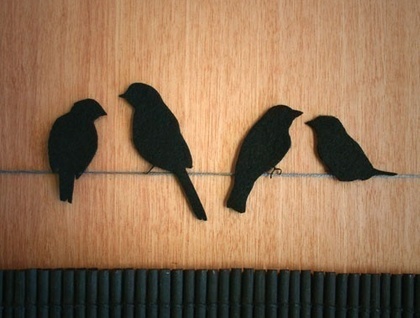 Set of 4 black birds, ready to be craftily used! Birds are approximately 30mm - 60mm high and are perfect for crafting, scrapbooking or to embroider for a special one of a kind piece. Other colours available, just message me.